We’ve said it before and we’ll say it again – direct mail is not dead! Although the volume of direct mail went down to 149.4 billion in 2016, as a percentage, it went up. In fact, according to the DMA’s 2017 Response Rate Report, direct mail’s household response rate is at 3.7%, compared to 0.2% for mobile, and 0.1% for email and social. Don’t buy into the misconception that print only works for older adults. 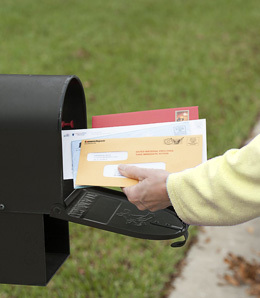 According to research, all age groups are interested in receiving and responding to mail. For ages 18-21, response rates doubled in 2016 according to the USPS Household Diary Study. These response rates are likely due to better targeting. Reports from Keypoint Intelligence/InfoTrends have found that respondents who exclusively received personalized print materials experienced a response rate of around 6% and a conversion rate of more than 16%. More generic materials generate an average of a 2% response rate. Nowadays, companies are getting smart about direct mail by utilizing data. By profiling and segmenting the data – coupled with the power of digital print technology – PSPs can create variable data mailers with targeted images, copy and design. Additionally, USPS programs such as Every Door Direct Mail have helped business mailers make sure their marketing messages are reaching the right customers in a select neighborhood, city or zip code. The online service uses demographic data to better target prospective customers. Since 2011, there have been more than 3.4 trillion transactions and 6 billion mail pieces included in this service. Targeting is just one piece of the puzzle. We have to realize that the tangible act of receiving mail is still a way to warm a human heart. Multisensory stimulation seems to alter the way the brain processes messages – often making processing quicker, which is key for driving emotional response to messages or brands. Physical contact results in the Endowment effect – a sense of ownership over an item, which translates into an individual valuing it more highly. In psychological experiments, people value something they can see and touch 24% more highly than something they can only see. So if you send something via mail, customers will perceive it as worthier than if it were on screen. Additionally, in the same UK Royal Mail study, 38% of respondents said that the physical properties of mail influence how they feel about the sender. The production values of a mail piece can reinforce brand values in a deep and intuitive way. This led to what is called “embodied cognition”: the more senses we can appeal to, the stronger message is encoded in the individual, which for marketers, equals increased response rates. Innovative marketers are testing sensory devices by integrating smell, touch, taste, touch, sound and even video into their mailers. To read more, this article was excerpted from Innovations in Direct Mail by Print Impressions.